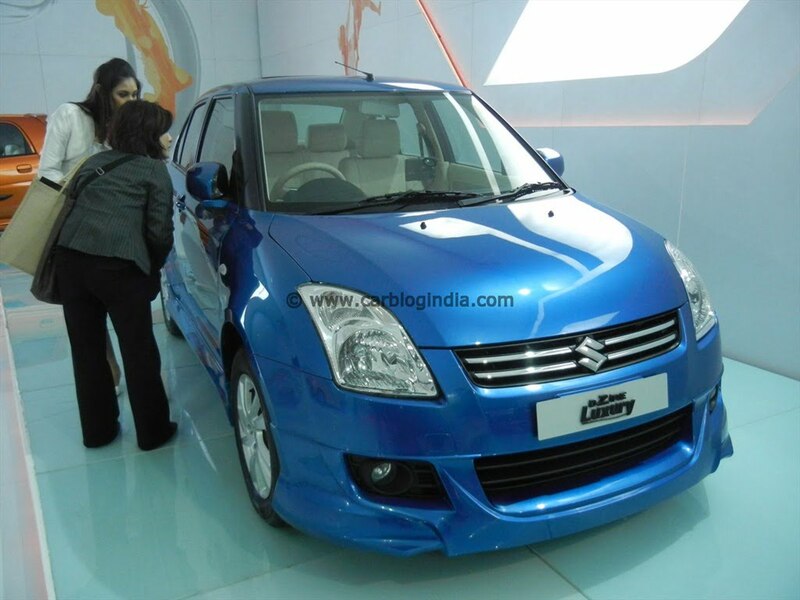 As per latest media reports, Maruti Suzuki is working on developing a sedan to be placed under Maruti SX4 sedan in India. The Maruti SX4 Sedan used to be a good seller before the competition became intense with the entry of competitors like Volkswagen Vento, Hyundai Verna Fluidic, Honda City 2012 new low priced variants, Skoda Rapid etc. which are giving a tough time to Maruti SX4 in India. This is clearly reflected in Maruti Suzuki’s past few month’s sales charts while Maruti’s loss is competitor’s gain. So in order to offer car buyers an additional option in sedan segment, Maruti Suzuki is working on a sub-SX4 sedan which will be placed between Maruti Swift Dzire compact sedan and Maruti SX4 Sedan. Maruti Swift Dzire 2012 new model is priced between Rs. 4.88 Lakhs to Rs. 7.5 Lakhs in India while the Maruti SX4 sedan is priced between Rs. 7.7 Lakhs to Rs. 9.4 Lakhs ex-showroom Delhi. Since the old Dzire had been re-badged as Maruti Swift Dzire Tour and will not be sold to individual buyers (only for taxi and fleet operators), car buyers who need larger boot do not find any choice other than Maruti SX4 in Maruti Suzuki India lineup of cars. To fill in the gap, Maruti Suzuki will bring a sedan, which as per some reports maybe based on Maruti A-Star hatchback, which will be priced between these two cars, which turns out to be a segment somewhere between Rs. 6 Lakhs to Rs. 8 Lakhs. There is no official confirmation whether this model will be based on A-star, as A-star is not so popular in India however it is sold in International markets as Suzuki Alto and Nissan Pixo and sells in good numbers. Maruti may have intentions to develop this sedan based on the expected export demand in overseas market also. The segment in which Maruti plans to fit this car in already has competition like Toyota Etios sedan, Nissan Sunny, Mahindra Verito etc. The low priced sedans are popular in India because of aspirational buyers who prefer to buy an entry level sedan over a premium hatchback as they prefer space over features and convenience. With the introduction of new Maruti Swift Dzire compact sedan, the segment seems to have disappeared from Maruti portfolio as earlier the older Swift with a larger boot did qualify for the needs of buyers with low feature needs and high luggage space needs. However, the sales of Maruti Swift Dzire compact sedan are quite high and it has also made space for a third sedan between the Dzire and SX4. We will keep a watch on further developments on this news in futures and will keep you posted. For latest updates, do stay tuned to us by signing up for our free email newsletter and like our official Facebook Page for latest updates on your Facebook Wall.